The National University of NU participated at SM City Davao’s University Fair 2015 held at the Annex Activity Center last July 9-11, 2015. 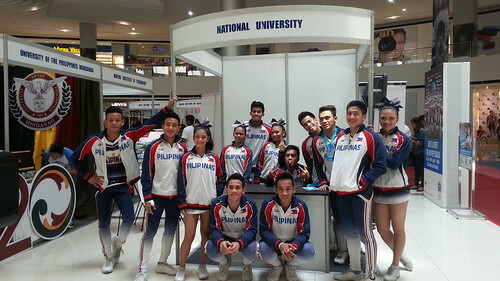 The NU Pep Squad won its 2nd straight UAAP 77 Cheer Dance Competition last September 14, 2014 that was held at Smart Araneta Coliseum. 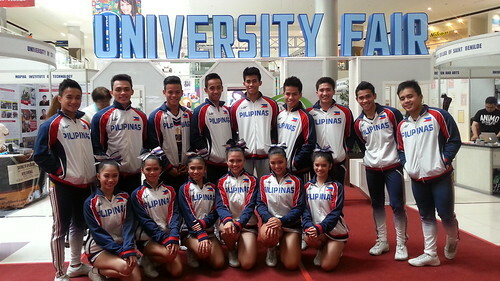 They are the defending champions with UP Pep Squad in first place and the UST Dance Troupe in second place. They did a short cheer dance performance towards the end of the opening program for SM Davao’s University Fair 2015. 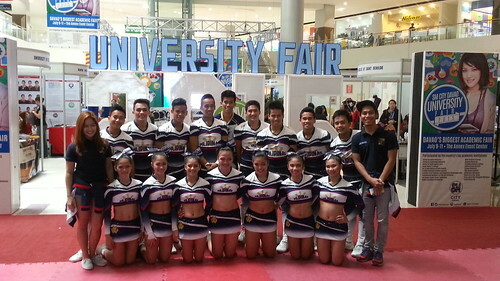 NU Pep Squad with Coach Ghicka Bernabe (standing left). 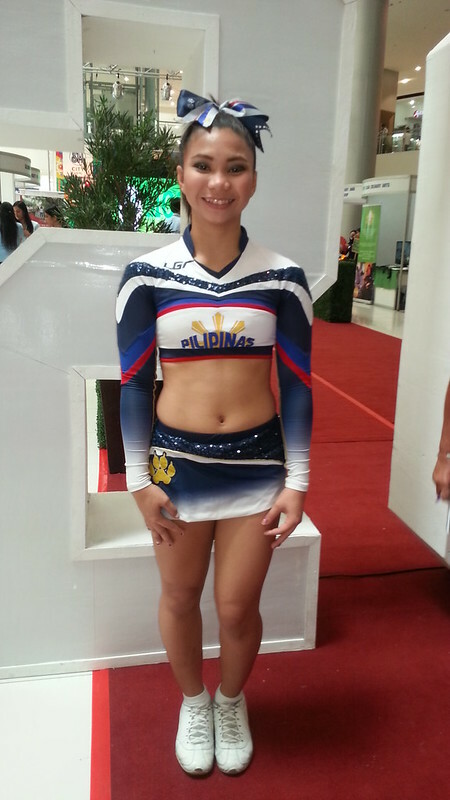 We also met Norlyn Sanchez Carcasano who is a member of the NU Pep Squad after their performance at the academic fair. She is one of the flyers. She is from Davao City and graduated high school in UIC. Just found her Instagram account @norlyneey. 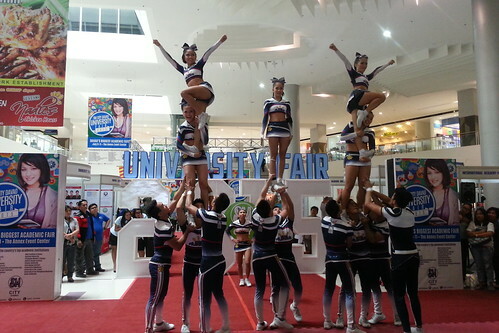 We’re proud to know we have a Dabawenya among the defending and repeat champions of the UAAP cheer dance competition.